Some players earn per day more than what ordinary citizens earn in a year. Where do those sponsors get the money from? Largely from selling products for which ordinary citizens have to pay too much. 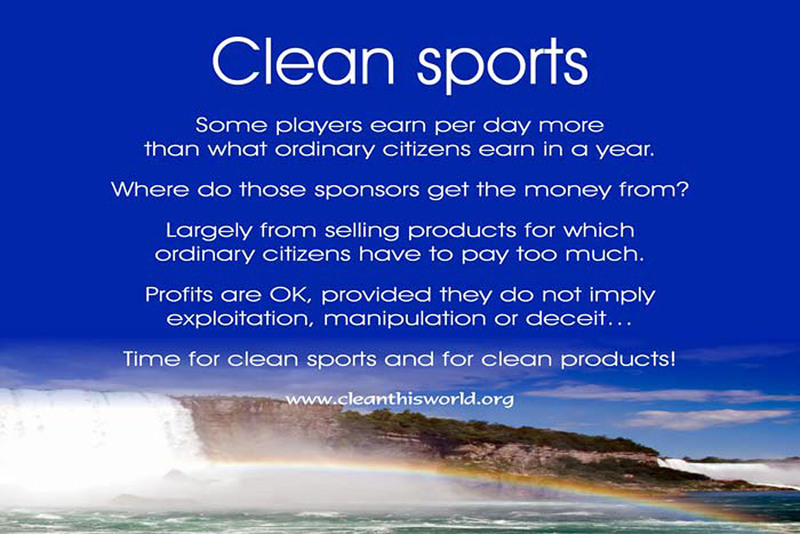 Time for clean sports and for clean products!